Lot 79 C/I L.M. & S.R. 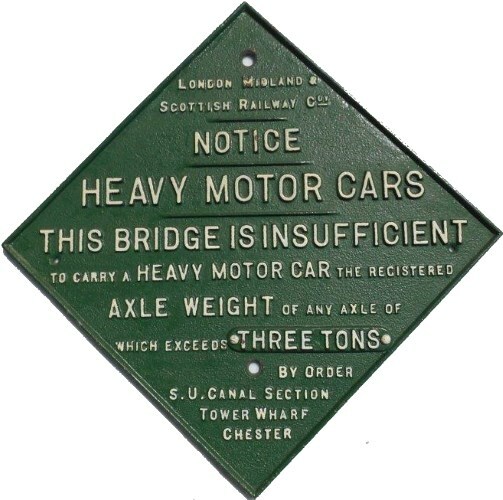 NOTICE "HEAVY MOTOR CAR - THIS BRIDGE IS INSUFFICIENT - ETC 4 lines of text. 3 TONS by order - S. U. Canal Section, Tower Wharf, Chester. Front restored. Size 18" X 18".